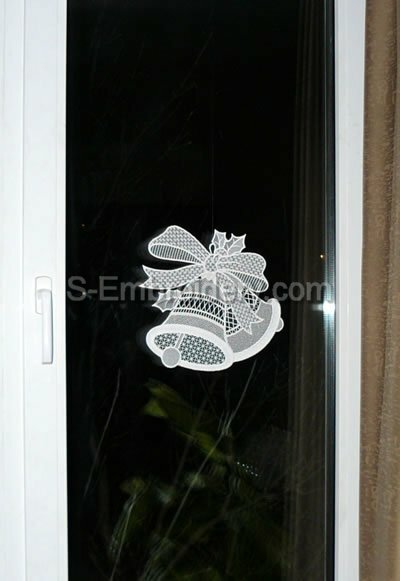 Another fine free standing lace Christmas window decoration. 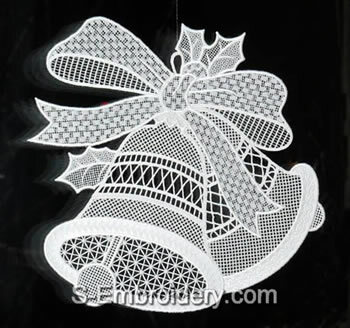 The ornament measures approximately 11 x 11 inches (28 x 27.5 cm). This Christmas bells window ornament is split in 5 parts. Each of them will fit in a 5 x 7 (130 x 180 mm) or larger hoop. Included with our delivery is a PDF file with information about the designs and instructions for putting them together.